HERMOSO CONDOMINIO UBICADO EN UNO DE LOS MEJORES FRACCIONAMIENTOS DE MAZATLAN. CONSTA DE SALA, COCINA, COMEDOR, 3 RECAMARAS, 3 BAÑOS MAS CUARTO DE SERVICIO CON SU BAÑO, TERRAZA CON VISTA AL CAMPO DE GOLF Y A LA ALBERCA, 2 CAJONES DE ESTACIONAMIENTO. ESTE FRACCIONAMIENTO CUENTA CON CASA CLUB, CAMPO DE GOLF Y SEGURIDAD LAS 24 HORAS DEL DÍA. 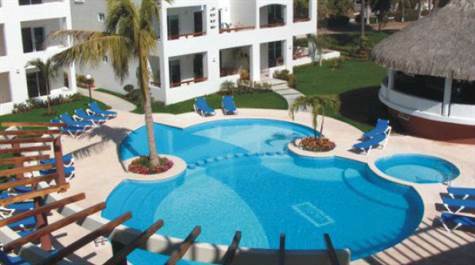 BEAUTIFUL CONDOMINIUM LOCATED IN ONE OF THE BEST FRACTIONING OF MAZATLAN. CONSISTS OF LIVING ROOM, KITCHEN, DINING ROOM, 3 BEDROOMS, 3 BATHROOMS, SERVICE ROOM WITH ITS BATH, TERRACE WITH VIEWS TO THE GOLF COURSE AND TO THE POOL, 2 PARKING BOXES. THIS FRACTIONATION HAS A CLUB HOUSE, GOLF COURSE AND SECURITY 24 HOURS OF THE DAY.